Need some fun? Then come out and enjoy driving your car at our April autocross event. 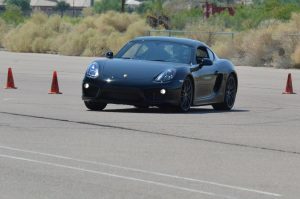 Location is Arizona Motorsports Park. Cost is $60 if you pre-register, $75 at the gate. Gates open at 7am, sound testing 8-8:30, and first car out around 9 am. Pat the Hot Dog Lady will be serving lunch to pre-registered drivers. We have instructors for first timers and a limited number of loaner helmets. Your car must either have a valid AMP sound sticker or be tested prior to running to ensure it meets AMP's strict sound requirements. See you there!